We create custom finishes and offer our best craftsmanship. 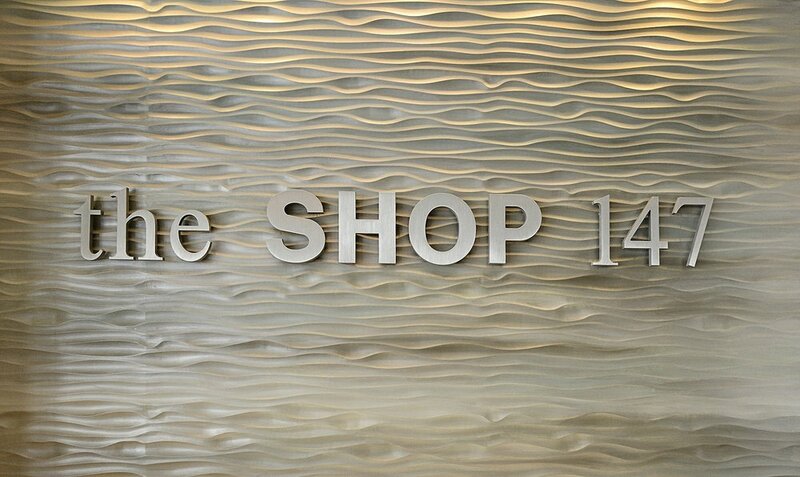 We have over 20 years of experience designing specialty decorative finishes. To ensure that our work is truly unique, we enjoy experimenting with different mediums, techniques and styles. 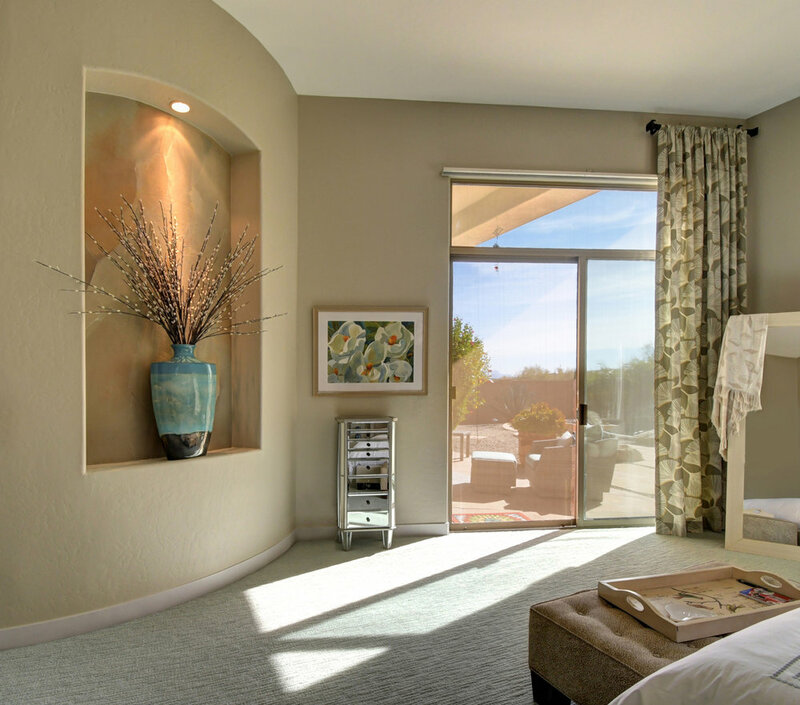 We work with designers and homeowners to maximize the design potential of a project. Softly aged multi color designs that will last for years to come. Intelligent color selections. Softest cloudy faux finish on the market! Beautifully aged cloudy faux finish. 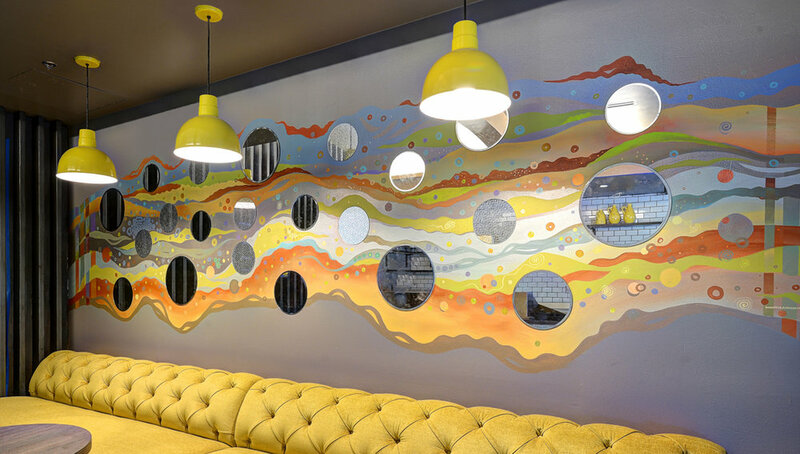 We have extensive experience designing interior concept themes for restaurants and offices. Choosing the right color palette can be overwhelming - that's where we can offer our expertise. Attractive and unique styles and finishes created to differentiate your business from the competition and keep customers entertained. Soft four color wall finish. A valley home gets a signature look. 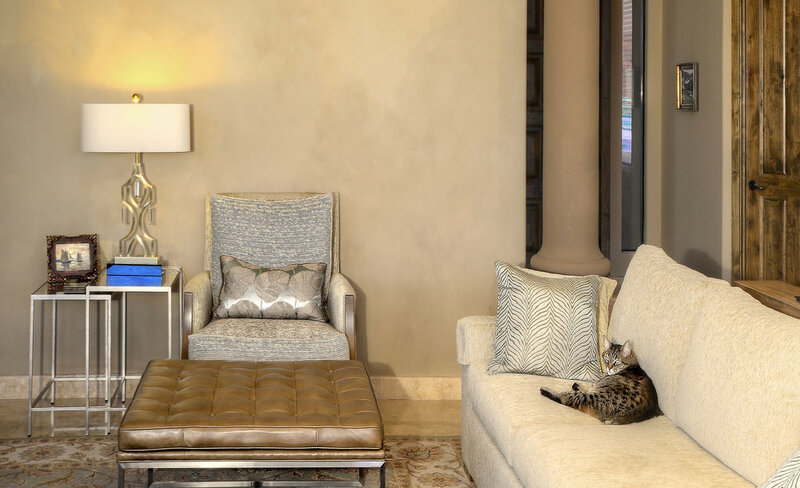 Sun brings a lot of challenges while choosing the right color pallet for an interior and it takes experience and a trained artistic eye to come up with pleasing timeless colors. Soft faux finish with a gentle touch of directional veining. Original textured backsplash with graphite silver tones. Classic textured finish covered in dark graphite, silver and multi tone pewter colors. Durable three dimensional decorative finishes are guaranteed to last! Finishes are topcoated with super strong clear coat. Unlimited color choices, custom patterns, quick installation time, low environmental impact makes it a great affordable kitchen backsplash option. Like what you see? 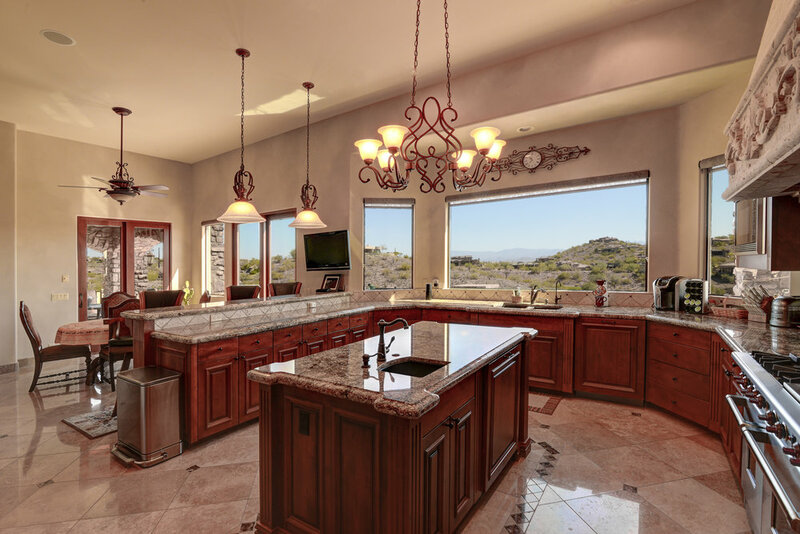 Call us to see if we can help you with your Kitchen project. Unique and one of a kind kitchen backsplash wall designed to compliment designer cabinets and counter top. Warm design for a classic Italian restaurant. Local Italian restaurant gets warm textured wall treatment and an installation of original art. Custom textured finish on walls and crystal clear resin coating on the bar.